Normally it’s “Photo Challenge Wednesday,” but this week I’m happy to be part of the awesome blog tour supporting the launch of my buddy’s third book. T.B. Markinson is coming out with her third novel and I’m happy to contribute anything I can to her success as an author. Recently she wrote a post about success and how she defined it, and I found it to be pretty inspiring. It helped redefine my perspective a little, as I tend to be hard on myself when defining success. As writers our path is a little different when it comes to declaring “I made it!” It’s not like a teacher, doctor, accountant, or lawyer. It happens in layers, and in moments. Sometimes they are spectacular fireworks, other times in quiet whispers. But it happens for each of us in our own way. And it’s happening for her with the release of her third novel. To celebrate its release, the book is on sale for $0.99 until September 16th. That’s less than the price of an actual coffee. And it’s definitely worth your while. Kat rose and sat next to me, so Harold’s date could sit next to him. D-Day was just a few minutes away. I sucked in a long breath. God I hoped Amber would show. Five minutes ticked by. Kat did her best to keep the conversation going, but after ten minutes, I glanced over my shoulder at the worried look on Samantha’s face. Was it possible Amber wouldn’t show? Beads of perspiration appeared on Harold’s brow. Poor guy. I tried to think of something to say to ease his suffering, but drew blanks. Even Kat looked concerned and wasn’t her chatty self. Harold fiddled with the wrapped book, accidently tearing the corner off. “Um, are you Harold?” a timid voice came from directly behind me. Harold glanced up, but didn’t speak. “Yeah. I’m so sorry I’m late. Got held up at work.” She continued to stand behind me. Harold was gaping at her, his eyes bugged. I didn’t want to turn and make the girl feel even more awkward. If I were her, I would be running for the exit. “Oh, no apologies needed. You’re here, and that’s all that matters.” Kat led Amber to the seat next to the bug-eyed Gaiman fan. I nudged Harold’s foot under the table, pleading for him to stop gawking. He either ignored me completely or didn’t understand my meaning. “Where do you work, Amber?” asked Kat. “I’m a paralegal at a law firm.” Amber fidgeted with the purse on her lap and looked miserable. One minute in, and already I wanted pull the ripcord. “Harold and Cori work at Beantown Café together. That’s how we all know each other.” Kat was grasping at straws. “Oh, that’s nice.” Amber didn’t sound impressed. “I also teach at Adams University. British lit,” I added, and then kicked myself. She wasn’t my date to impress and I made Harold look even more like a loser. Dammit, Cori, you and your ego. Her statement kindled an ounce of life in Harold’s body language. He nodded and peeked at her from the corner of his eyes. Then he stared at the water again. Baby steps, Harold, baby steps. “Who’s your favorite author?” I held my breath after my query. Please say Neil Gaiman. Please, please. I felt Kat squeeze my leg in anticipation, digging all five nails deep into my thigh. B. Markinson is a 40-year old American writer, living in England, who pledged she would publish before she was 35. Better late than never. When she isn’t writing, she’s traveling around the world, watching sports on the telly, visiting pubs in England, or taking the dog for a walk. Not necessarily in that order. 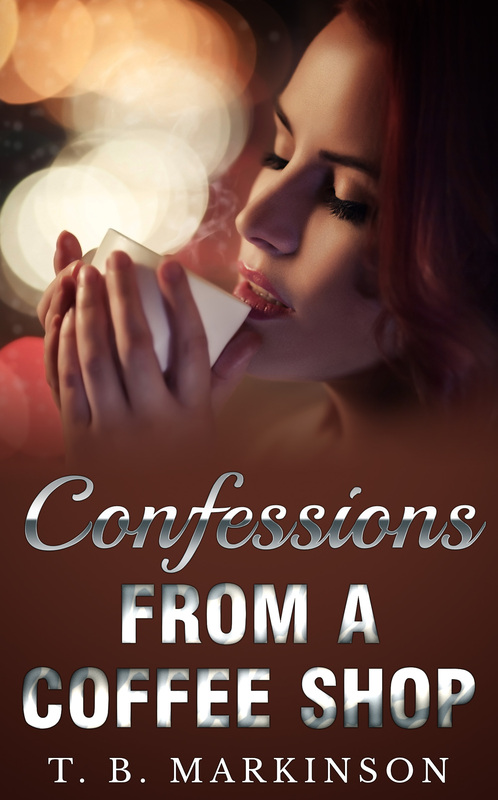 T. B. has published A Woman Lost, Marionette, and Confessions From A Coffee Shop. Thanks! And the Guat is a wonderful and supportive friend. Nice to meet you!